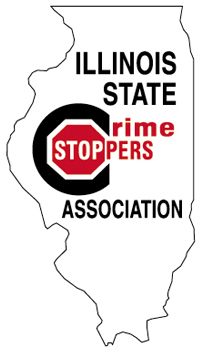 The Illinois State Crime Stoppers Association is a broad-based crime fighting and crime prevention program whose mission is to develop and facilitate Crime Stoppers programs throughout the State of Illinois. Learn about the history of the Illinois Crime Stoppers Association: view history (pdf). To promote, through marketing and awareness, the concepts of Crime Stoppers by facilitating the partnership between the community, media, and law enforcement for the purpose of fighting and preventing crime. To secure and provide funding to meet state association goals. Click on any of the links below to read more information about the Illinois State Crime Stoppers Association.